Magisculpt Underwired Shaping Swimsuit is rated 5.0 out of 5 by 1. This light to medium control Magisculpt swimsuit features wide strap detailing to flatter and fit your shape perfectly. Complete with light power mesh tummy control, our new season swimsuit will help you to feel beach ready by smoothing over your lumps and bumps. 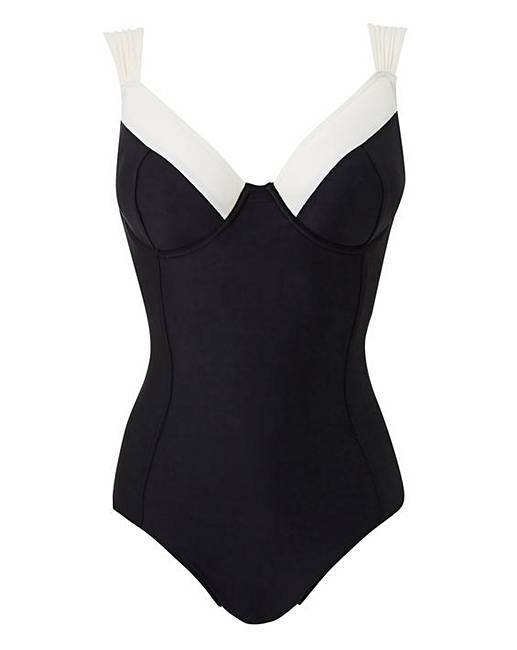 With wired, smooth cups this swimsuit is designed to fit and flatter your figure. Rated 5 out of 5 by Sheila59 from Special holiday This is a lovely fit quite slimming very pleased with it cant wait for my holiday at the end of the month.